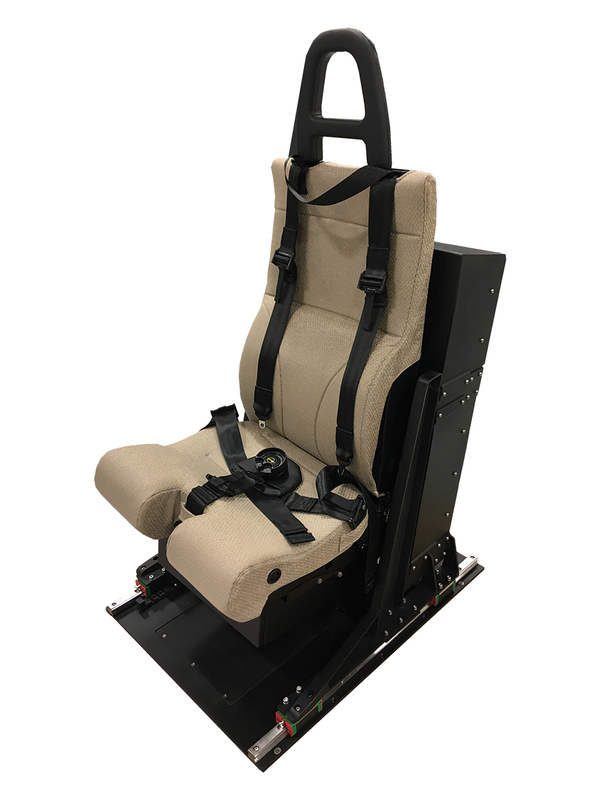 ACME’s helicopter seats provide motion cues to emulate the sensations felt during the entire mission, from engine start to shutdown, lift-off to touchdown, ground ops to flight ops. The seats use a patented, all-electric system with individual motion plates/pans that provide motion cues directly to the crew’s body. The key to realistic motion cueing is not just the number of motion channels; it’s the seamless interaction between the channels to provide complete, realistic, motion cueing. 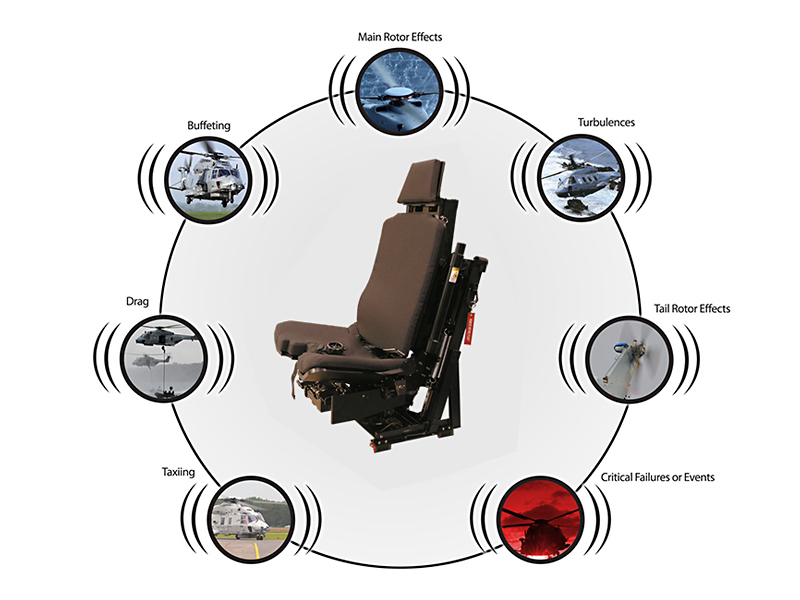 In True Q® seats, multiple motion channels work together to provide a single cue at each moment in the simulation. Cueing speed is critical for replicating the environment and ACME’s motion seats excel at rapid-fire small transients and large channel excursions. The seats can simultaneously replicate the tiny pulses, vibrations, and turbulence plus the changes of g’s, attitude, and acceleration felt in the aircraft. 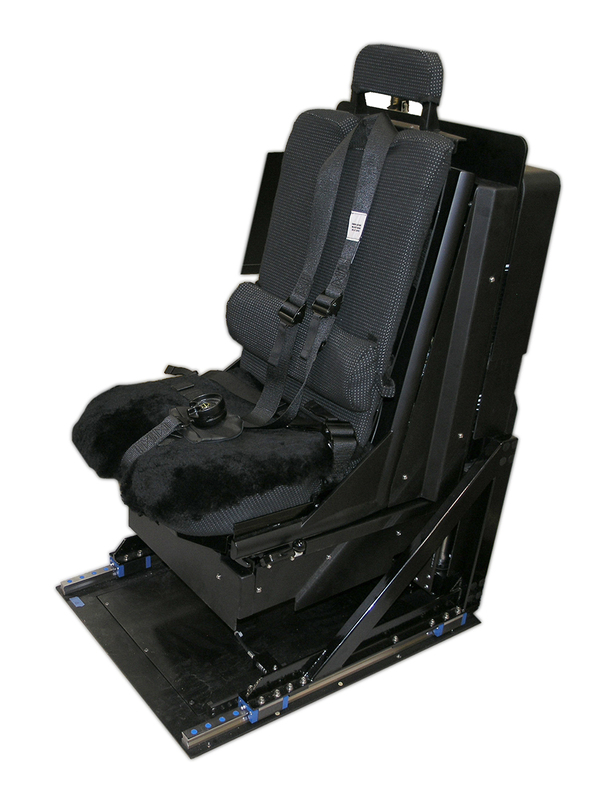 The seat also smoothly handles the transition between normal and inverted flight. 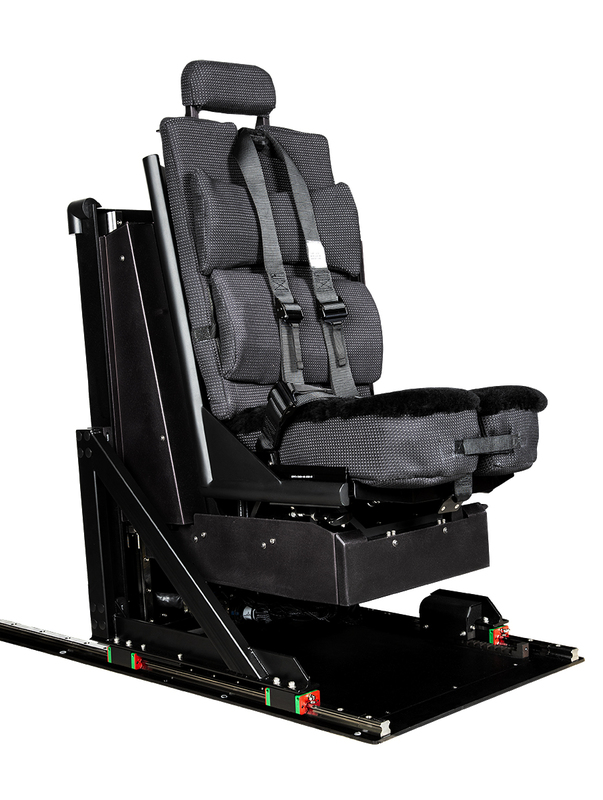 And, unique among cueing systems, motion seats provide cueing for Feel It In All Six Degrees of Freedom g-onset using motion and sustained g’s using pressure on the crew’s body. 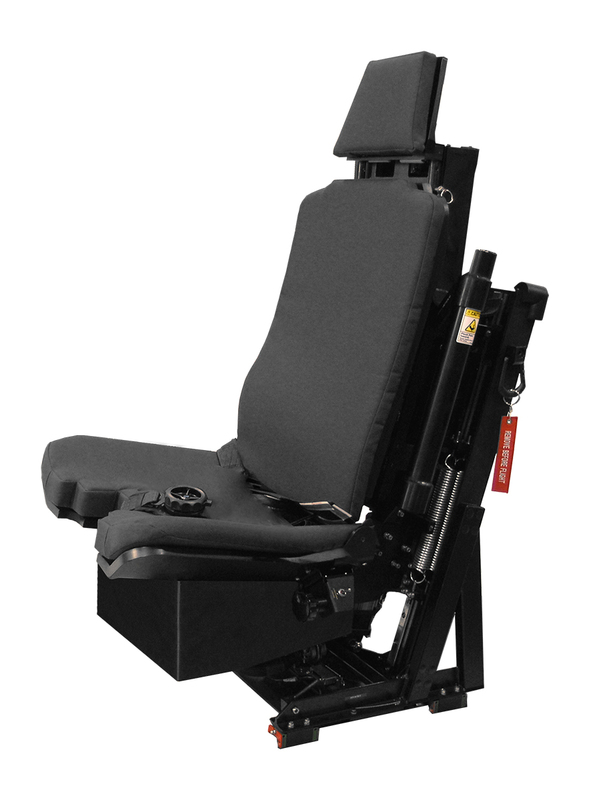 ACME seats can be ordered as a single seat or shipset (two-seat) system. 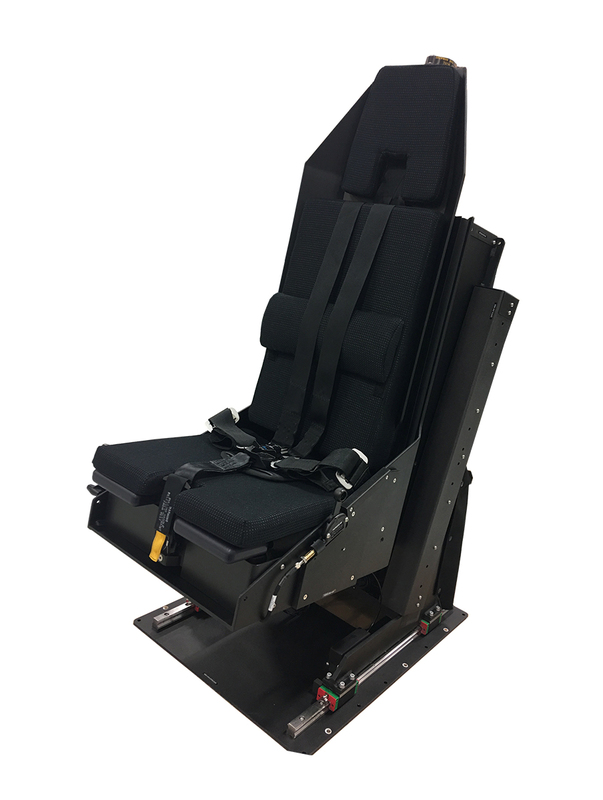 The shipset is designed for systems where both seats are driven by the same flight model inputs such as for pilot & co-pilot or weapon system operator (WSO) seats . 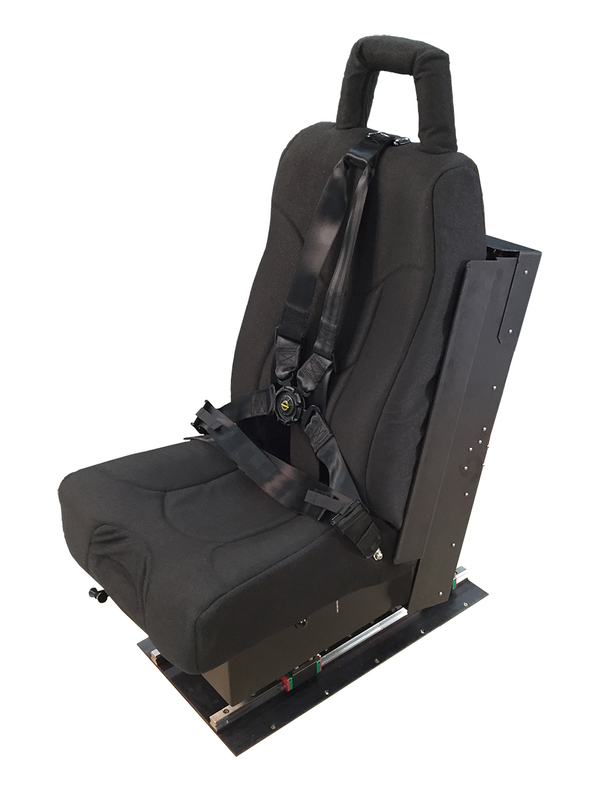 The shipset system can drive both the pilot and co-pilot seats using just one motion seat computer. 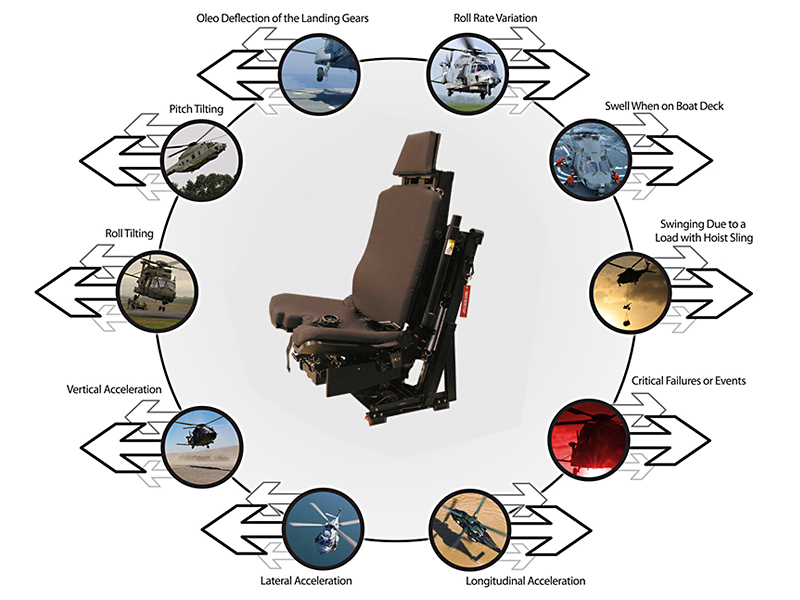 Motion Seats that Look, Feel, and Function like the Actual Helicopter Seat. The motion seats include the belts, harnesses, and/or buckles. The seats include the cushions and headrests too. 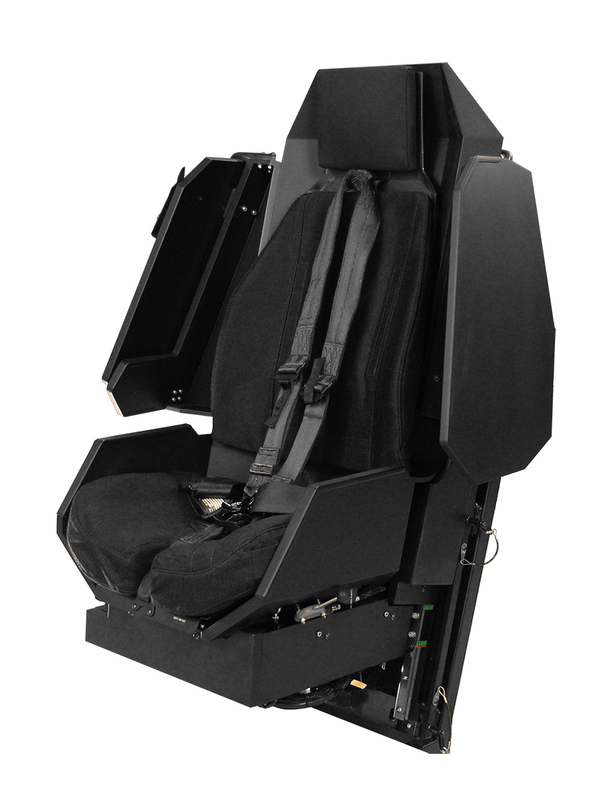 The motion seat can look, feel, and function just like the actual helicopter seat. ACME can help you specify a seat that meets your unique needs. 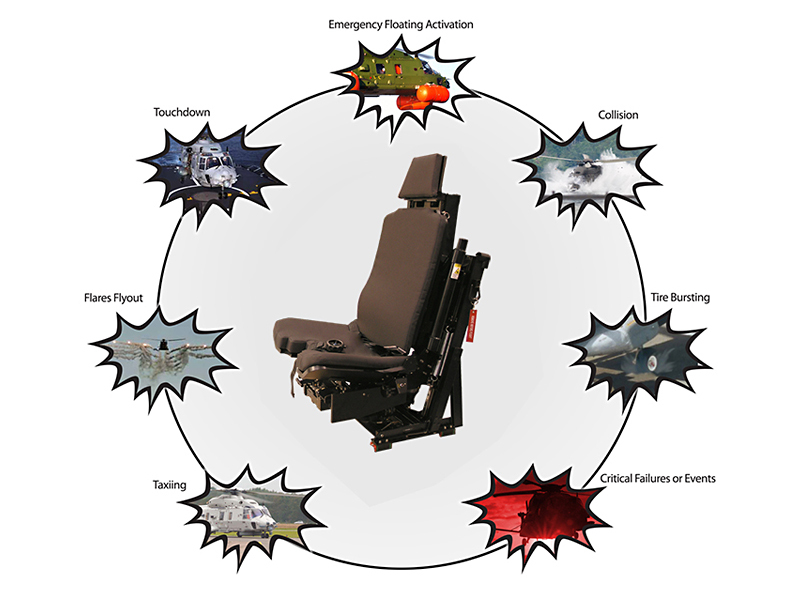 With True Q® motion seats, all the motion components are inside the seat. All the motors, linkages, and motion plates are built in the seat body—nothing below the cockpit floor. 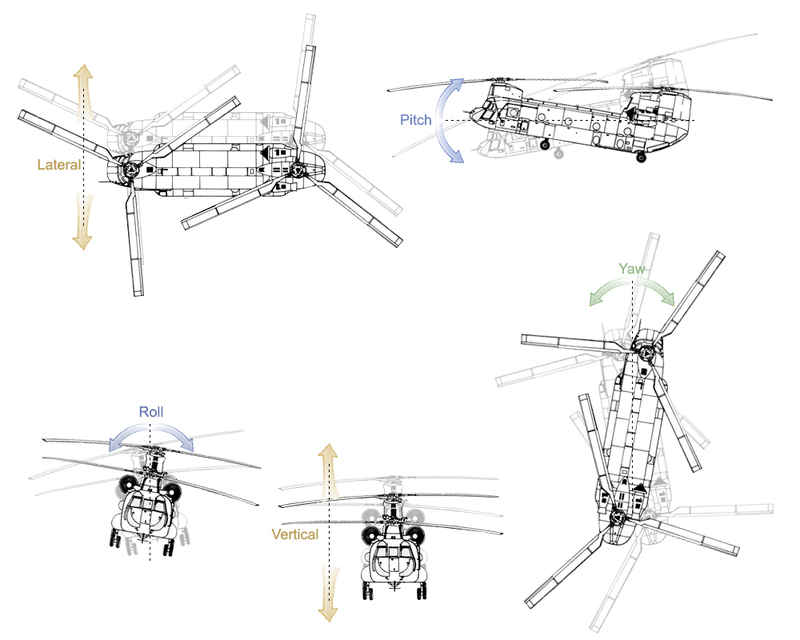 And, the motion seat is the same size and shape as the helicopter seat. The motion seat fits right into the simulator cockpit like the actual seat. It mounts the same too.